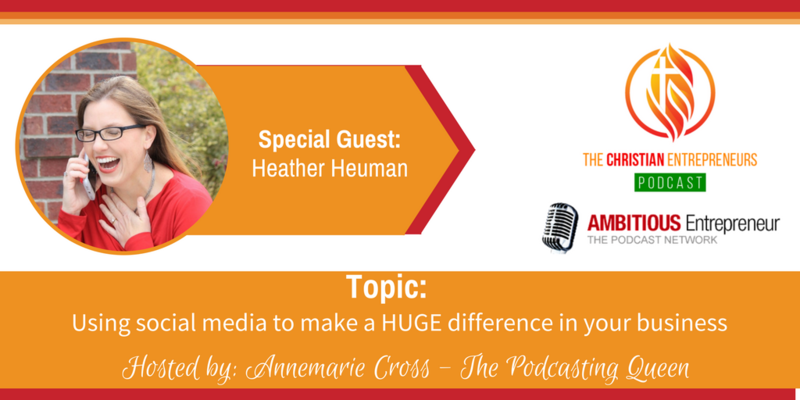 Joining me today is Heather Heuman. Heather is the CEO and Founder of Sweet Tea Social Marketing and host of the podcast ‘Business, Jesus and Sweet Tea'. She is a social media speaker, strategist and consultant that specializes in helping Christian business owners discover how to grow in today’s noisy social marketplace with solid social media strategy. In addition to loving sweet tea, Heather enjoys traveling, homeschooling and spending time with her family and 2 dogs in South Carolina. The value of being exactly who God created you to be in your business and embrace the journey. Heather Heuman is the CEO/Founder of Sweet Tea Social Marketing and host of the podcast ‘Business, Jesus and Sweet Tea'. She is a social media speaker, strategist and consultant that specializes in helping Christian business owners discover how to grow in today’s noisy social marketplace with solid social media strategy. 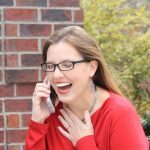 Heather has worked with clients like Chick-fil-A, Wilson Sports, Chambers of Commerce and global brands during her 17 years in the digital marketing space. In addition to loving sweet tea, Heather enjoys traveling, homeschooling and spending time with her family and 2 dogs in South Carolina.